There are several SEO techniques to increase a web site's Google pagerank. Even if you only follow one of the techniques below, you can expect to see a positive difference in your website's pagerank. Despite the fact that SEO experts constantly talk about the importance of content, most web masters ignore their advice to make sure their sites have quality content. It's really crazy, particularly when you consider the fact that Google looks at content when determining pagerank. Thus, one of the greatest techniques toward improving pagerank is to simply make sure your site has quality content. This content should ALWAYS be relevant to the topic of the site. The content should not be too long (greater than 2500 words a page) or too short, should be informative and should include the right amount of keywords (a keyword density of 2-5%). If your content has all of this, you should be in very good condition to increase your pagerank. The major determining factor in Google's pagerank is back links. These are incoming links from one site to your site. What these links tell Google is that your site must have good content on it, or else other sites would not be linking to it. Now you might think that all that matters is the links, right? Not exactly. Google has gotten very smart and accurate with pagerank, and so they can tell bad links (i.e. Links from link farms, irrelevant sites etc.) from the good links (links in articles, links from relevant sites etc.). The most effective technique in increasing pagerank is to gather good back links. The next two techniques on our list deal with this. Google is known for quickly indexing forums and blogs. Literally the fastest way to gain a good back link is to simply post a link to your site on a forum or a blog. Most forums consider outright linking to be spam, so you'll have to make sure you do this in the right way. Try joining forums relevant to your site's topic and put a link to your site in your signature, if it's allowed. Also, put a link to your site in your profile. Then post 1-10 times. Your posts should contribute something to the forum so that they are not edited or, worse, removed. As for using blogs to gain more links, you can try to create a blog of your own and casually put a link to your site on it. You can also try commenting on other relevant blogs and including a link to your site in these comments. Once again, you need to be cautious in how you do this—you don't want to make comments that are outright promoting your site. 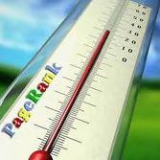 An popular way of gaining a better Google pagerank is to write articles. These articles are based off of your site. For instance, if you run a photography site, you may write an article on digital photography. At the end of the article, you might include something like 'for more on digital photography, visit insert site.com". Article back links are very effective because they are considered credible by Google. One thing to remember is to not mention your site too many times; one or two mentions per article is fine.